Simple gardens and plants can look dull without innovation and striking features. At Greenstar Lanscape, we provide that missing spark to your property through our innovative styles, such as the green wall and vertical gardening. You can now beautify not only your land but also your walls! To make landscapes look out of the box and as trendy as it gets, we provide services to cover your walls with nature’s bounty. Green walls are very popular with our clients because of their unconventional appeal. 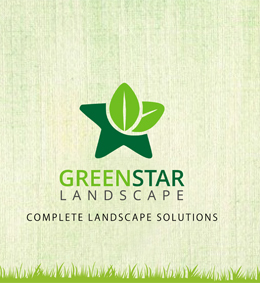 With Greenstar, generating this appeal in your property is now convenient and affordable. The Vertical Garden Tube is one of the new and innovative means of growing your own herbs, vegetables and flowers in a compact space. With the help of this tube, you can grow up to 48 plants in a space which can usually accommodate only 4! The Vertical Garden Tube can be built for commercial and domestic purposes such as in greenhouses, rooftops, kitchen gardens and interior in restaurants. This makes your space more beautiful, useful and eco-friendly and provides you with “ghar ka khaana” that one always craves for because home-grown food simply tastes better, especially when it uses minimalistic space. The vertical garden tube rises up to 124 cm, but is only 39 cm in diameter. It has 45 spots to grow 48 plants (which usually require an area of 5 to 6 square meters). Thus, the VGT easily fits into a small balcony and that too beautifully. So, if you need beauty, health and savings, it’s time to make this investment and reap the rewards for the rest of your life.